The Great Sphinx. 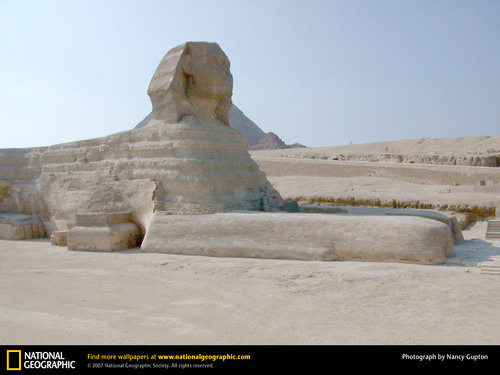 The Great Sphinx of Giza has a lion's body and a human face—perhaps that of the Pharaoh Khafre who likely ordered its construction. Though it is badly eroded, the Great Sphinx has survived over 4,500 years of searing sun and political turmoil.. HD Wallpaper and background images in the Egypt club tagged: egypt giza sphinx. Nice picture! link is undoubtedly a breathtaking place. It is the essence of Egypt and one of the most photographed monument in Egypt.